Why should you have to choose between buying a 1D scanner today and risk replacing it with a 2D scanner in a few years, or paying more for a 2D scanner today when you may never need to read 2D? Start out with 1D performance at 1D pricing and upgrade to what you need, when you need it, for much less than purchasing a new scanner. 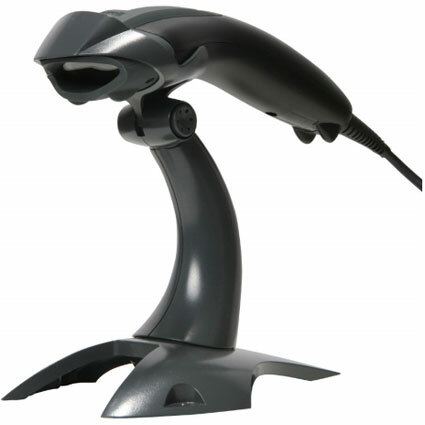 Built on the platform of Honeywell’s world-renowned Voyager series of hand-held linear scanners, the Voyager 1400g delivers omnidirectional reading of linear bar codes, plus the ability to affordably upgrade the device license to enable PDF and 2D bar code scanning—at the time of purchase or as scanning needs evolve. Performing at speeds that are comparable to laser-based scanners, the versatile and reliable Voyager 1400g can be customized to meet current and future scanning needs, lowering the total cost of ownership. For assistance finding the right Honeywell scanner for your needs, contact us at BarcodesInc.